A snowman is an anthropomorphic snow sculpture often built by children in regions with sufficient snowfall. In North America, typical snowmen consist of three large snowballs of different sizes with some additional accoutrements for facial and other features. Common accessories include branches for arms and a rudimentary smiley face, with a carrot standing in for a nose. Human clothing, such as a hat or scarf, may be included. 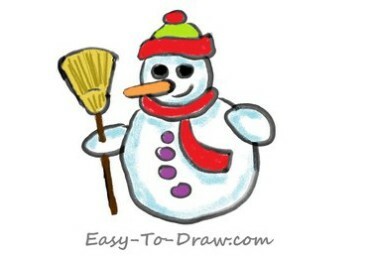 Low-cost and availability are the common issues, since snowmen are usually abandoned to the elements once completed. 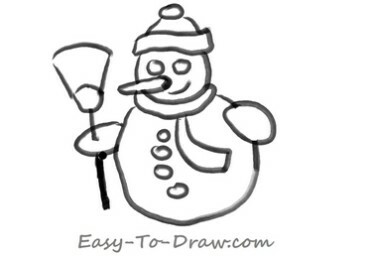 Here are the steps to draw Cartoon Snowman. Enjoy! 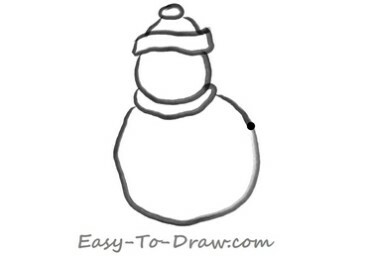 Step 1: Draw the head of the snowman with a hat on the top. 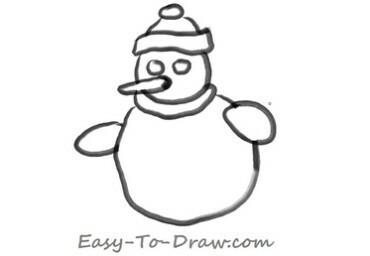 Step 2: Draw the body and the neck of the snowman. 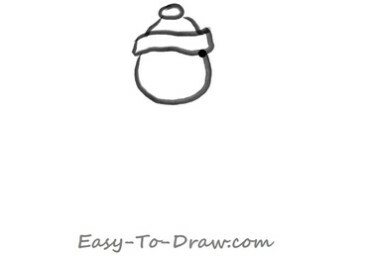 Step 3: Draw two circles as the arms of the snowman. 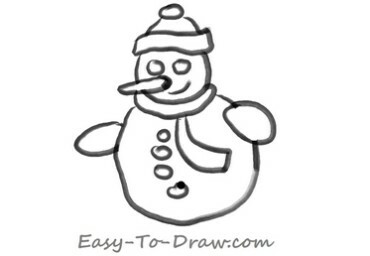 Step 4: Draw a scarf and four buttons on the snowman. Step 5: Draw a broom in the arm of the snowman. Step 6: Color the hat and the scarf red. Step 7: Color the broom yellow and a part of hat green. Step 8: Spray some blue color on the body of the snowman. 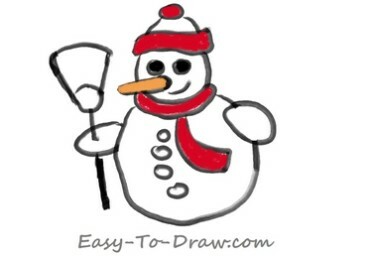 Snowman Video Drawing Tutorial for kids! 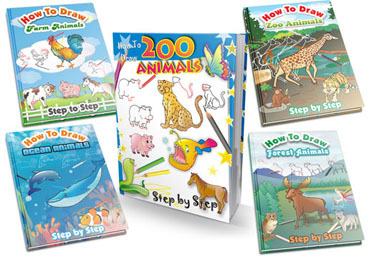 « eBook: Pencil Portrait Tutorial – How To Draw Pencil Portraits Quickly And Easily In 7 Days!